Many of us will have read IDS’ resignation letter with incredulity. How does a man who has orchestrated so much misery for so many, pen a missive to the Prime Minister bemoaning the injustice of benefit cuts for the disabled? Of course when it comes to politics all is often not what it seems. It turns out IDS was just upset at the suggestion that it was he who put the nasty in the Conservative Party and he didn’t want to be cast as the villain of the budget. He had also objected, we are told, to targeting working age voters with tax-credit cuts; he’d actually thought that pensioners would be a much safer target. When it came to disability benefit cuts, well these were “narrowly defensible,” just don’t implement them at the same time as tax cuts for the rich. It’s all about the presentation for Iain. Still there was one glorious nugget in that explosive letter to Cameron. It was one that blew a hole clean through the governments entire economic vision. Right at the end, IDS asks if we “are really all in it together?” I almost spat my tea at my laptop screen. Who was this man and what had he done with Iain Duncan Smith? Never mind the hypocrisy; this one line had deeper resonance, because in just seven little words IDS had confessed all. He had confirmed what Jeremy Corbyn and John McDonnell have been saying since the start of the Labour Leadership campaign and completely nailed the Tory narrative of the last six years for the lie that it is. Austerity is not an economic necessity, instead it is ideologically driven. There’s just one big problem for IDS’ belated ‘conversion on the road to Damascus’; when it comes to austerity politics, he has been one of it’s biggest architects in-chief. What’s next, Donald Trump doing an exclusive on US TV, in which he attacks racists and demagogues? Fast forward to the Andrew Marr show on Sunday and we saw more of the same. This was a man desperately trying to portray himself as a champion of social justice, while all the time rewriting recent history in the process. There have been moments in the last few days, when I have actually thought the media were going to let him get away with his obvious smoke and mirrors act. How many times have we heard him referred to as a ‘man of principle’ on Sky and the BBC in the last few days? Iain Duncan Smith doesn’t care about the poor, disabled and vulnerable people of Britain any more than George Osborne or David Cameron do. Each of these men are dyed-in-the-wool Thatcherite ideologues. Their sworn mission is to shrink the purpose of the state to no more than defence of the realm; everything else is to be looked after by the market. 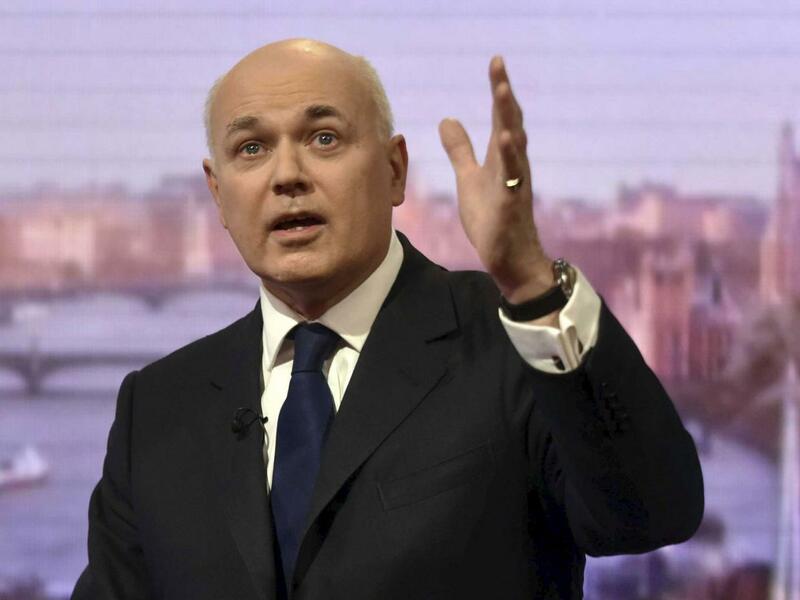 Time and again this man has been found to be manipulative and dishonest in his portrayal of the impact of his cuts. Consider how he presented fabricated statistics, which suggested that the recipients of his cuts were actually grateful. Think of how he has been unmoved by stories of suicides and deaths associated with ‘Bedroom tax’ and tax-credit cuts. Whether this is the first stages in a potential leadership bid, an act of revenge, spite, or part of the Tory internecine conflict over Europe, only time will tell. Perhaps there is some other, as yet unknown motivation. Is IDS attempting to sabotage Osborne’s leadership bid before it gets off the ground in order to clear the way for someone else; Boris Johnson perhaps? Does he see himself as future chancellor in yet another ‘Bullingdon Boy’ led cabinet? Whatever the reason, there can be no going back in British politics. Austerity is holed below the surface and it’s sinking fast; and when it comes to harsh lessons, there’s plenty to go around for everyone. For one thing, the political commentariat have been found entirely wanting in their analysis of the current shift in British politics. However, perhaps the greatest teachable moment of all is for the Parliamentary Labour Party. How much more progress could Corbyn’s leadership have made, if they had just accepted the democratic decision of the membership, united behind him and focused all of their ire on the Tories? Surely they must now be reflecting on a momentous week in British politics and considering the role played by the leader and the Shadow Chancellor in setting out, in the clearest possible terms, and alternative to Cameron and Osborne’s economic narrative. Even without their support, this message was beginning to gain ground with the electorate. Two opinion polls were published in quick succession that suggested the tide may be turning in Corbyn’s favour. There’s clearly a long way to go, but one fact has now become undeniable; Jeremy Corbyn’s leadership is not destroying Labour as an electoral force. Instead the Party is gathering momentum. Now is the time for them to put their differences to one side. There’s a greater prize at stake here. The Conservative Party is now hopelessly out of touch with the electorate. It is split from top-to-bottom and side-to-side. Cameron has a majority of just 12 and commands the support of just a quarter of voters. On the other hand the Labour leadership’s vision is clearly resonating with the public. Why else would a man like IDS feel the need to align himself as an anti-austerity Tory? We will hear much about ‘One Nation Conservatism’ in the coming weeks and months, as the vultures begin to circle above the carrion of the Cameron leadership. This is the greatest compliment the Tories can pay Corbyn. In years to come I believe the history books will tell of how the Labour leader moved the Party decisively to left, ending the neo-liberal consensus, at least for a generation. In doing so, I believe he would be restoring Labour to its rightful path and it would be a worthy achievement. Would it be his greatest achievement? I hope not. I’d like to think that his legacy would be worth more than that. Restoring the NHS, ending child poverty, enshrining education as a right for all and not a privilege; that would be a legacy worthy of any Labour leader. However, for the moment at least, the shifting of the political argument in the direction of socialism and equality will do nicely. Margaret Thatcher was once asked to describe her greatest achievement. She replied emphatically “Tony Blair.” It should have been seen as a terrible insult by everyone associated with the Labour movement, instead it’s been worn as badge of honour by too many. Thatcher had not only succeeded in imposing a right-wing monetarist ideology on the country, she had also dragged the leadership of the Labour Party along with her. This week Jeremy Corbyn and John McDonnell started pushing back. If you don’t believe it yet, just ask yourself this, if someone had told you a month ago that IDS would come out against austerity, would you have believed them? You wouldn’t. You’d have laughed in their face; but that’s what has just happened and we have Jeremy Corbyn and the movement that has lifted him to the leadership of the Labour Party to thank for it. Excellent analysis, I just love: “On the other hand the Labour leadership’s vision is clearly resonating with the public. Why else would a man like IDS feel the need to align himself as an anti-austerity Tory? We will hear much about ‘One Nation Conservatism’ in the coming weeks and months, as the vultures begin to circle above the carrion of the Cameron leadership. This is the greatest compliment the Tories can pay Corbyn.” Thanks for saying it so well. Hi Jeff. I’ve read this piece several times in the last day and given it a lot of thought, because I’d so like to agree with its conclusions – but there’s a leap of logic that I can’t share. Surely IDS’ implosion is more to do with the hubris and tactics of Osborne, who has read and believed his own press, and thinks himself more clever than he is? For Osborne, it’s all about setting traps for his opponents – such as the welfare vote that the Labour front bench abstained on because Harriet wouldn’t play his games. I agree with you that a man who has had ample previous reason to resign if he were really concerned about the vulnerable is throwing smoke and mirrors. The most convincing reason I have read for his resignation is that, having been forced into the policy, and having defended it, he saw Nicky Morgan rowing back from it (what’s it got to do with her?) and didn’t want to be No 11’s fall guy. Other than one poll, I can’t see the gathering energy behind Labour. (I don’t mean what Kinnock called the ‘warm comfortable circles’ within the party itself, but support for the party among the uncommitted.) 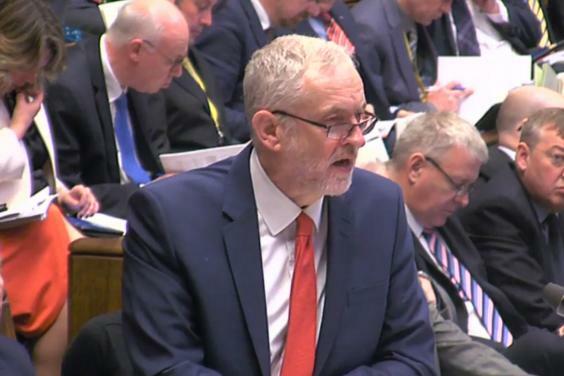 That’s despite Jeremy’s excellent speech responding to the Budget. And today, in the Commons, the PLP really has hunted as a pack. The chaos in the Conservative Party today is a function of the dysfunction within that party. Labour can – must- capitalise on it. But we can’t kid ourselves that Labour caused it. Hi Richard. Firstly thanks for taking the time to read the piece and really consider the conclusions. I think you raise some interesting questions regarding the premise of the article. You are right in saying that the Tory Party is split and the origins of IDS’ resignation lie in the simmering grudges and factional issues. However, these splits have been there a long time and my argument would be that a weak opposition, more concerned with triangulation and polling data has encouraged the Conservatives to pursue an ideological agenda (namely rolling back the welfare state and further privatisation of public services) largely unopposed. The abstentions on the welfare bill are a case in point and an indication of how the previous leadership may have responded to the current Budget. I believe that the decision by the front bench to abstain resulted from a mistaken belief that opposing the reforms would play badly in the polls and as such suggests that Labour had accepted the Tory narrative. IDS and Osborne will have had their differences back then, indeed we now know they did. However, the lack of real scrutiny and opposition meant that both men were able to work together within the cabinet on the bigger objective of slashing public spending and shrinking the state. I do believe that Corbyn’s leadership has effectively challenged this agenda and I do see signs that this is tarting to resonate with the public. Indeed IDS, in seeking to paint himself as a “compassionate conservative,” suggests an acknowledgement that the public are becoming deeply sceptical of austerity and perceive the cuts as unjust. This may seem obvious now, but please reflect on the leadership campaign. Corbyn was being told by everyone inside and outside the party that the public wouldn’t agree with an anti-austerity candidate and he was living in a dream world. This argument has now been shown to be completely wrong in my view. I really believe that Corbyn and the movement behind him has succeeded in shifting the argument back on to social justice and the debate has been reframed as one about fairness. This has wrong footed the government in my opinion and has succeeded in exposing these rifts. I do see energy behind Labour now and this is starting to build, look no further than the surge in membership and the fantastic result in Oldham (against all predictions). Yes there’s just a couple of polls at the moment but even these small indicators give lie to the argument that Corbyn would lead the party into electoral oblivion. On the contrary he is holding his own and gaining ground. Of course this needs to be sustained and there’s much more to do. You are quite right to point out that the PLP was an effective opposition today, more so than any time I can remember. It’s a shame we haven’t seen this sooner, but we should now see it as the way forward, irrespective of which of us right about the efficacy of Corbyn’s leadership. Surely a united PLP and wider membership is the route back to power. Thanks for taking the time to respond so fully Jeff. I think we both travel in hope! I certainly agree about the problems of triangulation, etc. and I’m sure that it was a cause of frustration to us all that Ed Miliband would provide an over-arching analysis (like One Nation Britain) but then drop it after a couple of speeches. I will be very interested to see whether the current debates on social justice move away from the rights of the obviously (in the eyes of the Mail etc) ‘deserving’ – ie. the disabled and the working poor and more widely, eg. across the generations or controversially, eg. to refugees. I’d also like Labour to be talking more about where power lies, and really reaching out to people who feel disenfranchised. That would (a) remind us that the party has a moral centre (b) in my view give us a chance to bring the party together (c) enable us to reach traditional but lapsed communities. Clearly this isn’t strictly on topic with your original posts but I can imagine that both of us will be tackling these issues in our respective blogs in future posts! I agree Richard. Effectively opposing austerity is just the beginning. Opening up the debate about the type of society we want to live in, then developing a programme that can deliver it, is the next big challenge for Labour. That’s the hard bit of course, but the process we go through to get there could be transformational and very exciting. Your points about the true meaning of social justice are well made and I agree completely.